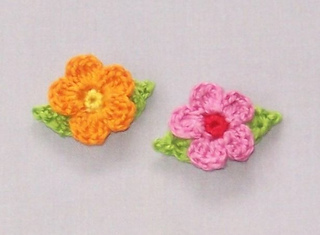 I made these little flowers with cotton thread, size 8. Using cotton thread size 10 would bring almost the same result. But any other yarn or thread can be used. 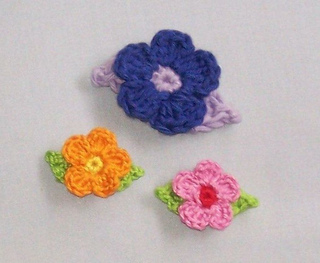 The blue flower is made from cotton yarn size 5.